The trend in smartphone camera tech this year seems to be the addition of hardware and software that help users blur backgrounds, creating stunning effects previously reserved for high-end cameras and DSLRs. You saw it on our reviews of the HTC One M8 and Galaxy S5, only to have Google bring their own solution with the announcement of Google Camera app on the Play Store. 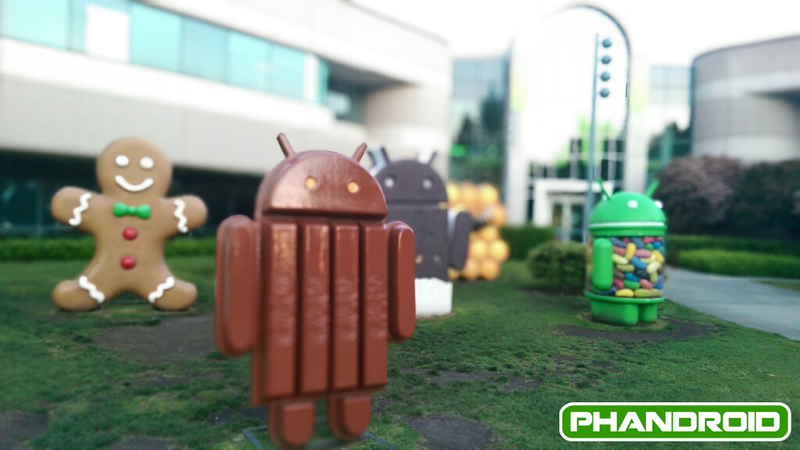 We marched our way to Building 44 – home of the Android Dessert Statues – and tested out all three to determine the differences. This will make the debate of the Galaxy S5 vs HTC One M8 a whole lot more complicated. 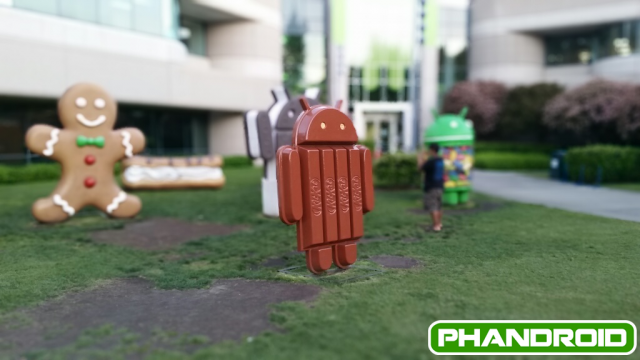 The “blurrred background” effect sits squarely on the One M8′s turf. This is one of the primary reasons HTC added a second lens: the first takes the actual picture and the second collects depth information, allowing the user to not only blur backgrounds after the picture is taken, but to change which item in the picture is the focal point, subsequently blurring the rest. Here’s a picture taken with the HTC One M8 Camera in automatic mode. 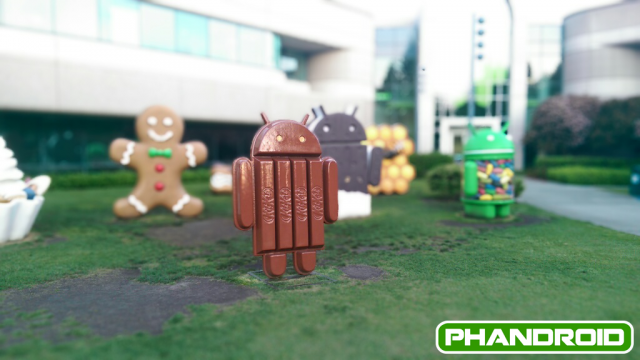 Then I used HTC’s UFOCUS to tap on the KitKat and blur the background with ease. Quite beautiful, although you can see it had a little trouble around the edges of the KitKat due to it’s shiny, reflective surface. Supposing we wanted a different dessert as our optical delicacy? No problem. Same picture, different tap, different result, equally awesome. 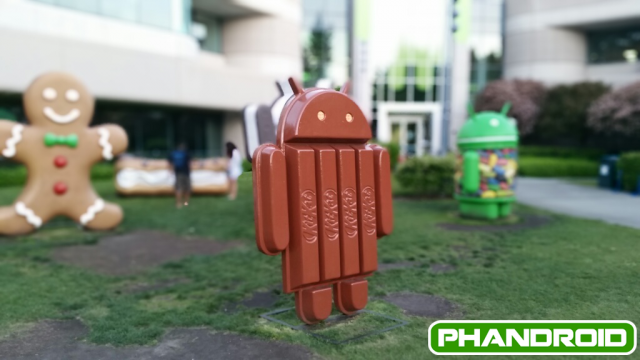 One of the great and unique things about the HTC One M8 camera is that you can select a different item to serve as the focal point- you won’t find that on the Galaxy S5 or with the Google Camera App (on any phone). 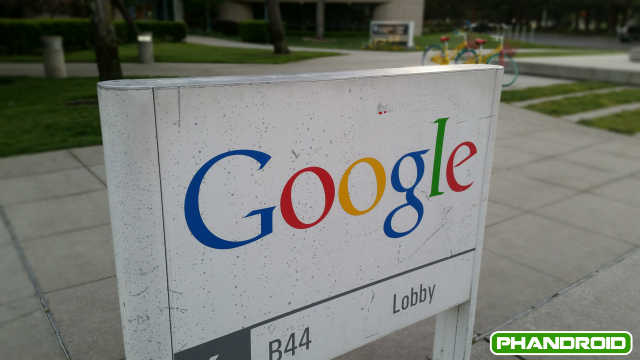 Now let’s stick with the HTC One M8 but give Google Camera a try for the preferred software. 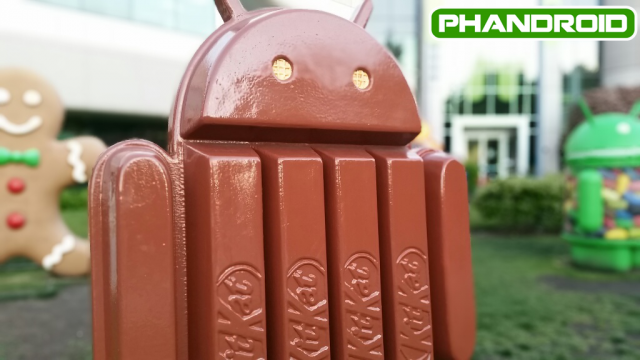 The Google Camera is available for download and can be used on any Android phone with Android 4.4 KitKat or above. 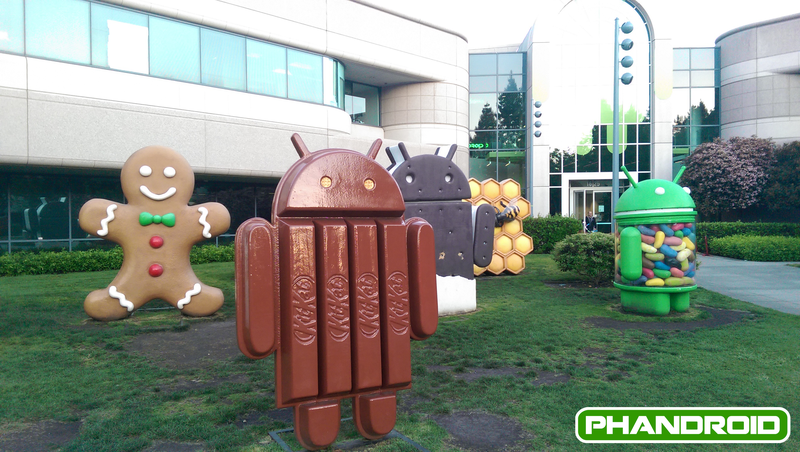 For this comparison, we fired up the app on both the HTC One M8 and the Galaxy S5 and took photos with each, comparing the results with the native camera of each. We took the pictures from a number of distances. 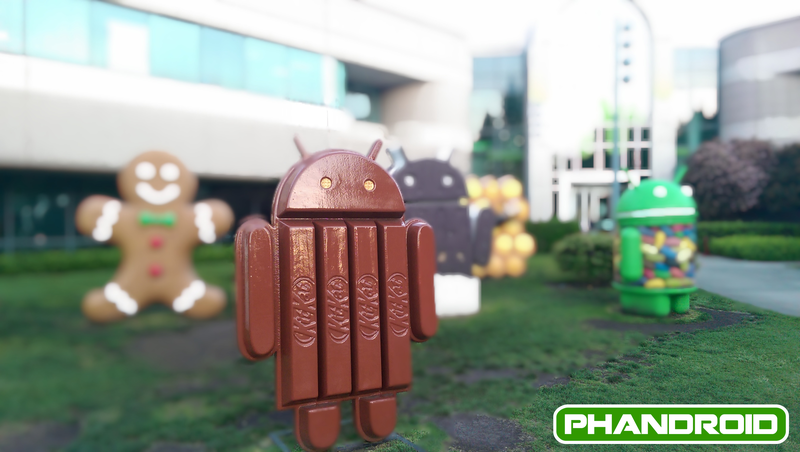 From further away the Google Camera had some difficulty- here it not only focuses on the KitKat, but also keeps the lawn and jellybean in focus. This is mostly due to the feature being designed for closer up pics, but despite the quality, it’s cool that you can use it wherever you want. As we could predict, when we got closer the quality was much better and the blur was much more accurate. At times, with the right distances and lighting, we’d even say the quality of the effect was excellent. But at other times it faltered, possibly due to human error in the process of taking the picture and guiding your hand upward. 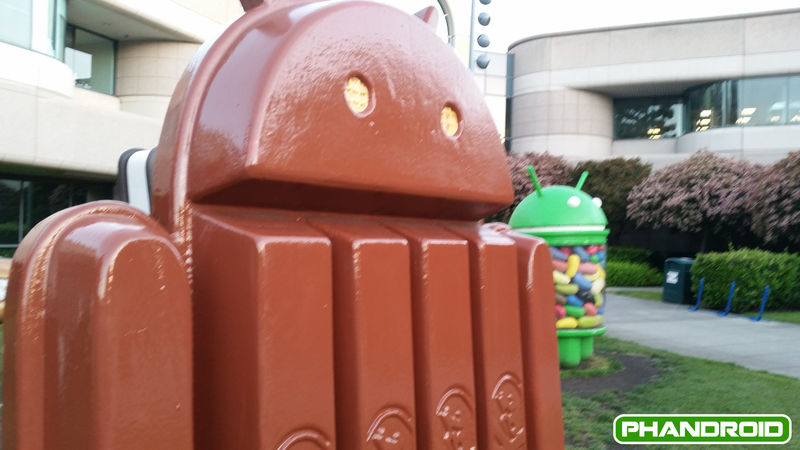 The Google Camera works differently than either the HTC One M8 or the Galaxy S5. 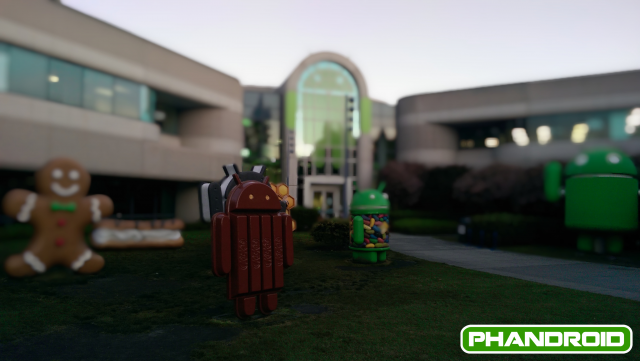 Whereas the HTC One M8 effect is made possible from its hardware, Google Camera achieves blurred backgrounds with its software. To achieve the effect you move your camera vertically, similar to the motion of taking a panoramic picture. To put it in video game terms: you strife with the camera upwards. What a disaster. The Samsung Galaxy S5 was able to take some great photos of the statues, but no matter how close or far we stood to various statues, the selective focus would not kick in. We got a pretty great picture of the scene itself, but as you can see, blurred backgrounds are nowhere to be found, no matter the distance. The Galaxy S5 Selective Focus feature seldom works unless you’ve got just the perfectly right conditions, subject, background, and distance. 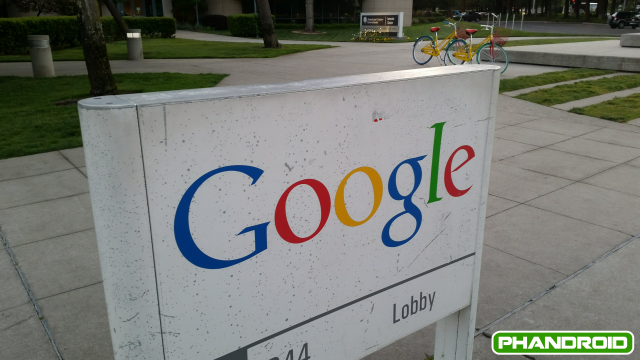 Here is an example of it working properly with a nearby Google sign. Now let’s stick with the Galaxy S5, but open up the Google Camera app and give that a whirl. This is pretty shocking: whereas I couldn’t get a blurred background picture of the statues to save my life on the S5, I was able to do it with ease on the Google Camera using the Galaxy S5. The resulting photos were pretty amazing, from a number of different distances. There is one really important caveat with the Google Camera: it downsizes photos. 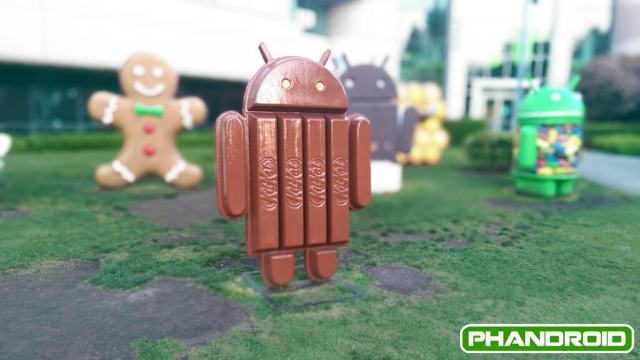 The Galaxy S5 maintained huge image sizes with the blurred effect and HTC One M8 photos were as expected. 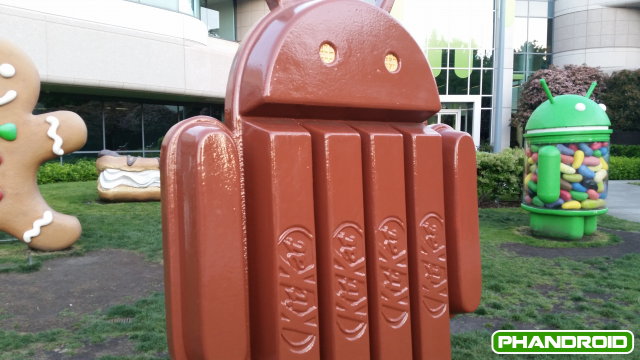 Both were larger than the somewhat tiny resulting photos of the Google Camera. 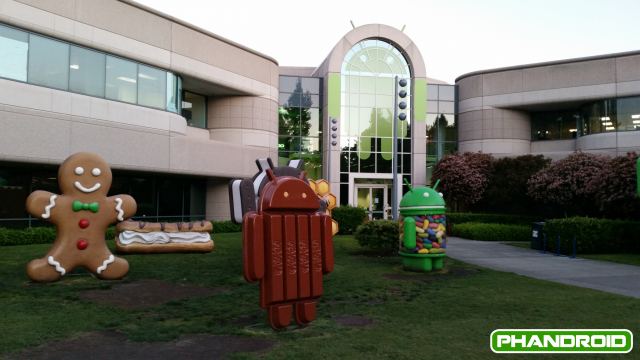 Although the Google Camera produced much better quality than perhaps even the HTC One M8, photo size is something you’ve got to consider depending on where these photos will end up. 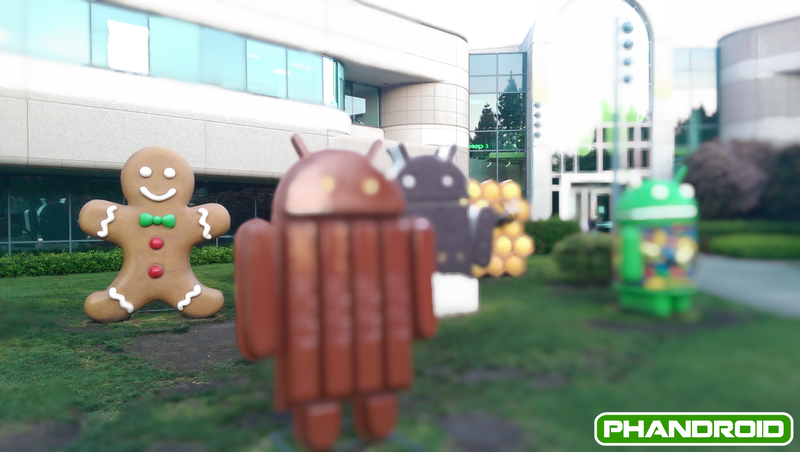 This will definitely heat things up in the already viscious battle of the Galaxy S5 vs HTC One M8. If you haven’t already, check out our full Samsung Galaxy S5 Review and HTC One M8 Review! What combination do YOU think performs best?